INTRODUCING: The OTTO Chocolate Chip Cookie! We are pleased to announce the arrival of the OTTO cookie, now available at all locations, and online! Over the past several months, we’ve been diligently perfecting the recipe, which is adapted from Ruth Wakefield‘s 1938 recipe used at the Toll House Inn in Whitman, Massachusetts. The result is a perfect way to top off your meal. 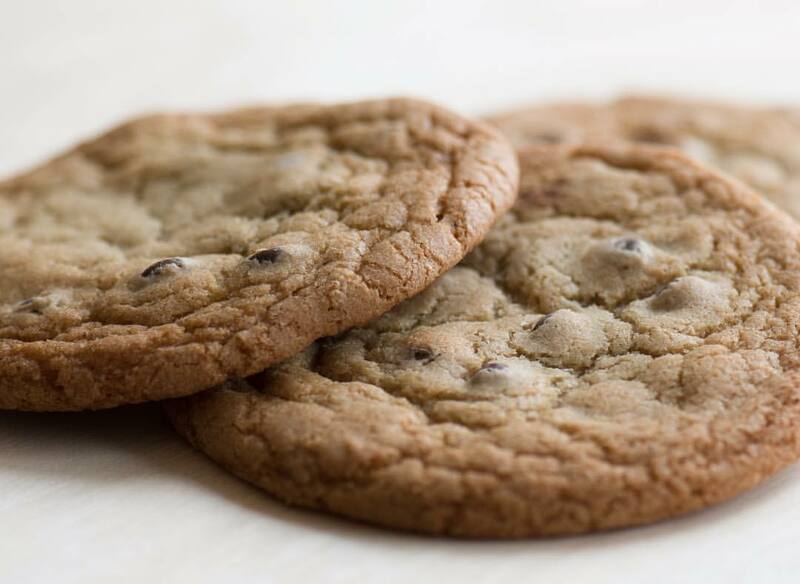 Each 3-inch cookie is baked daily from scratch, using Callebaut imported 60% dark chocolate chips and 82% euro style butter. The result is a delectable, mouth-watering treat — slightly crispy on the outside edges, and chewy-gooey in the center. In addition to being available at any OTTO location, the OTTO cookie is a great addition to any catering order, sure to perk up any meeting, party or event. And you can add them to any online order, for delivery or pickup! Go ahead. You totally deserve it.